Remodeling is a great way to modernize your home, freshen up its design, and add some unique elements. We thought we’d share a few clever Florida home remodeling ideas that you might want to include in your next project. Bookcases are always great to have. You can actually incorporate them right into the design of your home in unique and interesting ways. 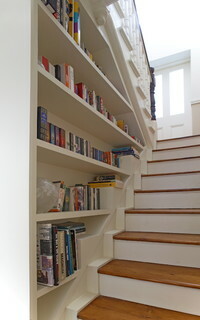 You can place them underneath stairs or along dividing walls or hallways. 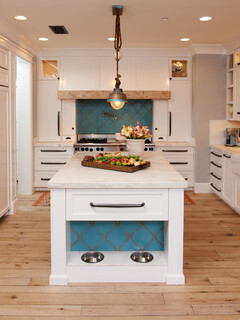 Pet-friendly designs are an up and coming trend. If you have any pets, this can be a great way to include their eating and sleeping areas seamlessly into your home design. Think about where your pets eat, sleep and bathe. Are there certain features that would make pet ownership more convenient? For example, you may want a sink off the mudroom, a pet space underneath the stairs, a convenient place for bowls or food storage, etc. Remodeling is a great time to address some of those needs and include some clever Florida home remodeling ideas. There’s nothing like enjoying a cool Florida evening out on the patio. 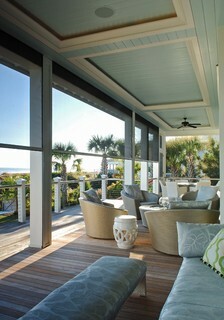 Screened porches are a must in Florida. Enhance the use of the space with adjustable screens and other modern design elements. 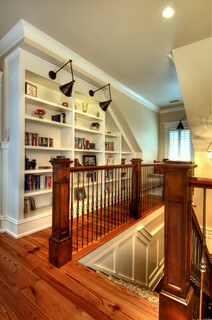 Photo by Phillip W Smith General Contractor, Inc. If you like some of these ideas, we’d love to chat with you about what unique features you can include in your next Florida home remodeling project. Contact us for a free consultation.